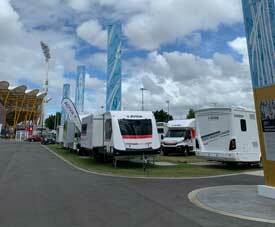 CARAVANNING Queensland has hailed this year's Gold Coast Caravan and Outdoor Expo a 'van-tastic' success. 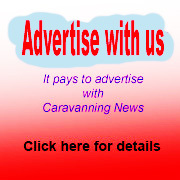 More than 15,000 'cara-fans' flocked to the event, a 26 percent increase on past year and proving that the caravanning lifestyle is well and truly appealing. Families, nomads and young enthusiasts alike enjoyed displays from more than 120 exhibitors showcasing almost 500 recreational vehicles, including everything from entry-level camper trailers from $10,999, accessories and camping gear and top of the range caravans and motorhomes valued at up to $350,000. Caravanning Queensland general manager Jason Plant said the lifestyle appeal was very much a contributing factor to the event's success, together with an incredible line-up of exhibitors. "We experienced record-breaking attendance at this year's expo, highlighting that just like a caravan or camping holiday, no matter the weather, has a high appeal particularly amongst families," he said. "The event saw more families and young couples than ever before flood through the gates of Gold Coast's Metricon Stadium, with attendees and exhibitors alike expressing their delight at the variety of products on display from a diverse industry. "With products sold to a varied demographic of show attendees, including largely families but also couples young and old, it highlights just how popular and diverse the caravanning and camping lifestyle is in Queensland as well as the importance of the event for local dealers and manufacturers." Australian Caravan Centre national sales manager Matthew McKinnon said the turnout was massive compared to the last event in 2017. "It was an awesome show at an amazing venue," he said. "We had the most successful Gold Coast Expo ever for Supreme caravans." Jayco Gold Coast director Brandon Sutcliffe said the show was a huge success. "The exposure Jayco Gold Coast receives to our core customers is unobtainable from any other event and it's fantastic to showcase our products at a world class venue," he said. 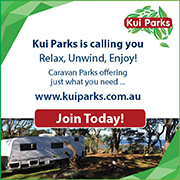 Mr Plant said increased show attendance across Caravanning Queensland's major events over the last two years was a huge indicator that more people than ever were cashing in their resort-style holidays for caravanning and camping due to its affordability and the traditional qualities it offers families. 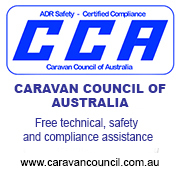 "There is no better indicator to the strength of the caravan industry than our industry events and, year on year, we continue to see increased attendance and sales growth," he said. "There is no doubt that following this year's Gold Coast Caravan and Outdoor Expo, more families and couples than ever before will be able to spend their time off by the beach or the bush in their brand-new caravan or camper trailer."